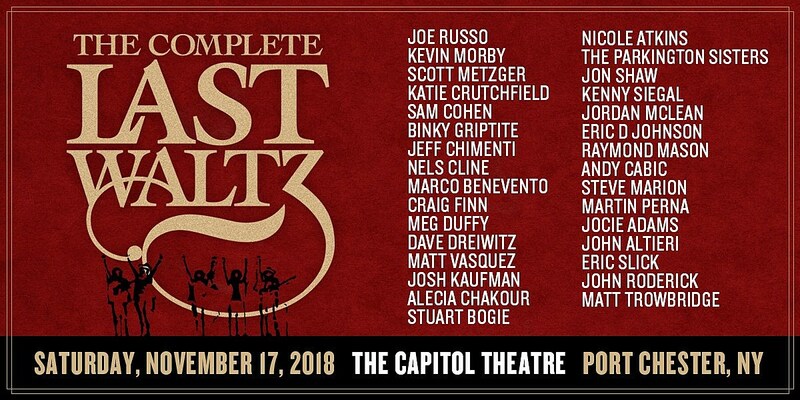 While it is a touch depressing to think about November when spring is just starting, it is nice to know that The Complete Last Waltz show is scheduled to take place 11/17/18 at the Capital Theater. Included on the bill are some of RtBE's favorites including Craig Finn from The Hold Steady, Matthew Logan Vasquez, Joe Russo, Marc Benevento, Dap-King horns and a host of others. This will be a hell of a show and while in past years it was actually held over Thanksgiving weekend, this year it will take place the Saturday before hand. Tickets go onsale Friday at noon with a presale tomorrow.